In a special lecture Sunday, March 25, from 2-3 pm, Congressman Richard E. Neal will discuss how John F. Kennedy’s presidency has continued to inspire generations of individuals to run for office and to do good in their communities—most notably because of lasting impact of Kennedy’s idealism. 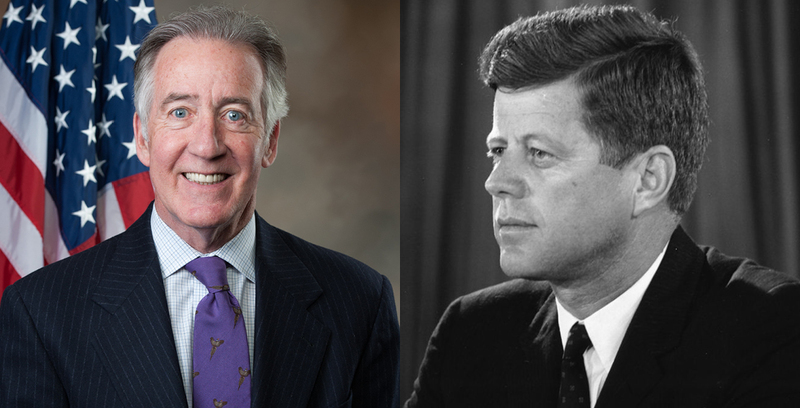 In this special lecture at the Springfield Museums, Congressman Neal will explore Kennedy’s relevance in our society today by highlighting how the young president harnessed the potential for progress in our country by initiating programs such as the Space Program, the Alliance for Progress, and the Peace Corps. Neal will pinpoint how Kennedy prioritized Civil Rights freedoms and recognized the benefits of Medicare coverage. Neal will celebrate how Kennedy broke one of the great religious barriers by becoming the first Catholic president. Most importantly, Congressman Neal will highlight Kennedy’s dedication to the common good which was unwavering. This lecture is free with museum admission! And all are invited to a reception to follow in the Wood Museum of Springfield History. The photographs of the first family in the Jack & Jackie exhibit are on loan from the Smithsonian Institution, National Museum of History, through the Smithsonian Affiliate Program, supported by the MassMutual Foundation, this exhibit is sponsored by American International College. Media sponsor: Valley Advocate/Preview Massachusetts.